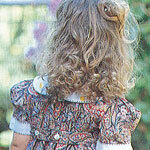 Description: A fun playsuit from a vibrant piece of Liberty fabric. 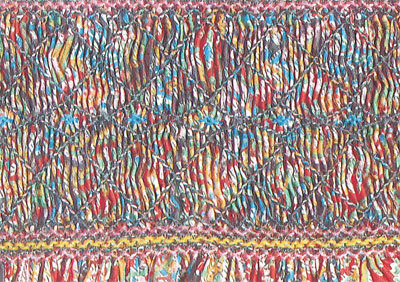 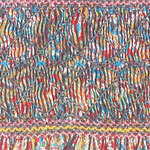 The smocking is a simple design of rows of cable and trellis diamonds. 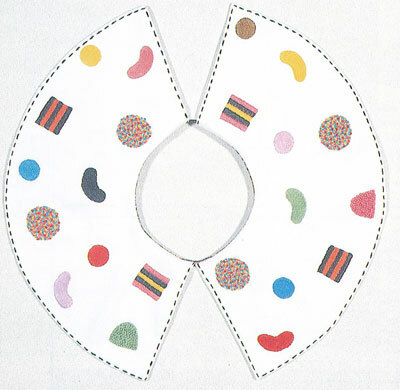 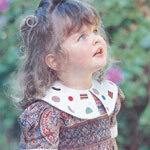 The feature is the collar, which has been embroidered with sweets.